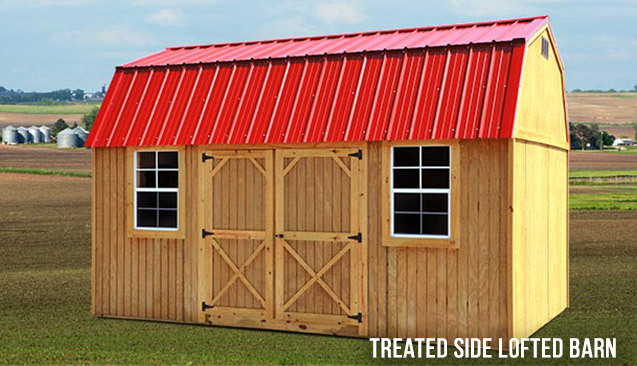 Prefab barns, or storage barns, are one of the most effective ways to add storage space for your valuable belongings. Prefab barns have been around for thousands of years, literally. Our prefab barns are made with exacting standards and are constructed by Mennonite families within an hour’s drive from our lot in Spring Hill, TN. These buildings are also commonly referred to as storage sheds as well. 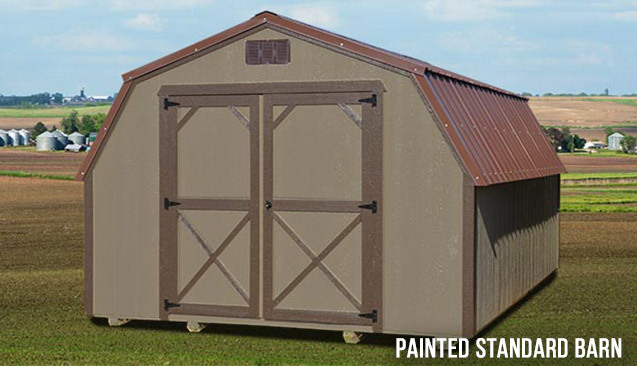 These prefab storage barns come in two basic styles: a standard prefab barn or a lofted prefab barn. The primary difference in the buildings is the height of the sidewalls on the barns. 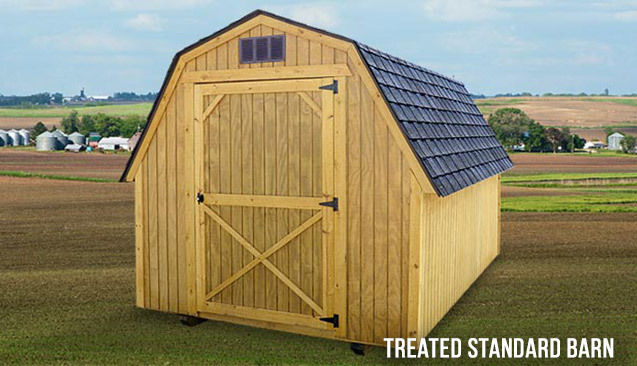 A lofted barn generally has 6′ 3″ sidewalls, while the standard barns have a side wall of 4′. Both have great value for certain applications and either barn can be customized to your specific needs. 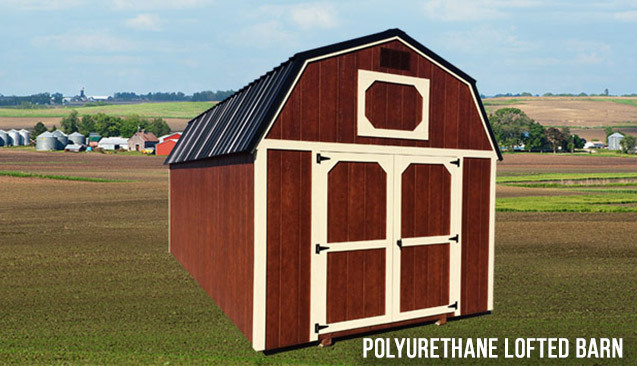 Our prefab barns come in three basic finishes: pressure treated, painted or polyurethane siding. If you live in or around Spring Hill, TN and need storage, come by and visit us or give us a call at (931) 486-2013.